With Christmas just a matter of days away and the back of 2016 looming in the near future (thank the lord!) I’ve been thinking about some easy home decor hacks and DIY ideas to add some extra festive sparkle to our home, and ways to get organised in the New Year. Once Christmas is over and the decs are taken down, I love to have a good New Year refresh, and completely gut the house until all clutter is gone and everything is organised once again after the Christmas chaos. Over on my Pinterest I’ve been gathering together ideas for some of my favourite home DIY ideas for both before and after Christmas (you can view the full board here for inspiration and instructions) and I thought I’d share these with you today! We live in a Victorian house with high ceilings and original wood floors, which sounds like a dream, but when the cold weather hits it can be a nightmare to keep warm! So one of the main things I always like to do is find ways to make our home warm and cosy without necessarily having to increase the heating bills! I absolutely love the idea of using pillar candles in an unused fireplace to add drama and a festive touch, or stacked on tree trunk off-cuts for a shabby-chic display. I also have my eye on a gorgeous peppermint scented candle DIY, perfect for a Christmas gift! Some of my other favourite Wintery DIY ideas that make the house look super cosy in time for the festivities involve pom-poms – and lots of them! I LOVE the pom-pom cushion DIY, but if like me you haven’t quite got the patience for that many pom-poms, then why not just add a few to one of your favourite blankets for a colourful trim! Finally, what would Christmas be without some decorations?! Why not try your hand at some gorgeous star garlands made from the pages of an old book, or even sheet music or old maps? 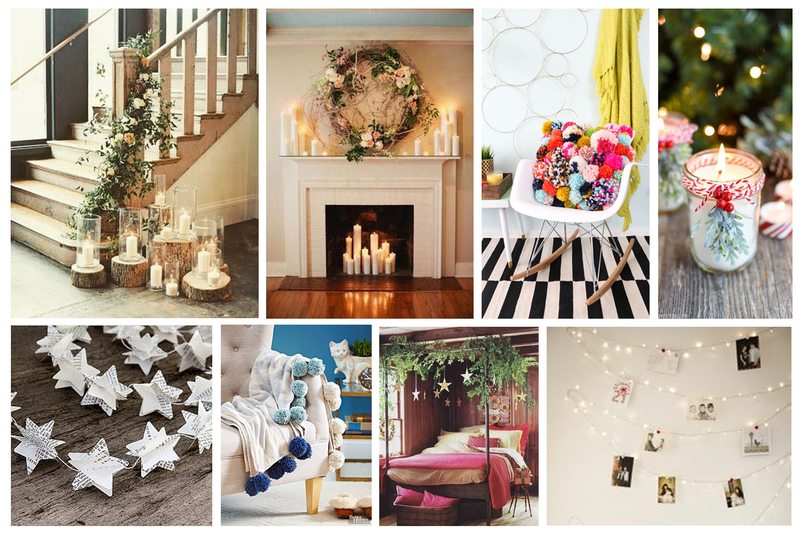 Or how about using a string of fairly lights and attaching some festive photos for a personalised touch? You could even bring the outside indoors with branches of fir or holly along fireplaces, staircases or around photo frames. When it comes to the start of a new year, you’ll probably like me have lots of good intentions and resolutions, and the first one of mine is to usually get organised. I’ve found some great organisational DIYs and hacks that would be perfect for the big Christmas clean up and to make the home a more motivational place to be, especially if, like me you spend some time working from home! One of the things I’m hoping to do in the New Year is create a study space in our home, and I love the idea of having a cork board or peg board wall for pinning up work and inspirational notes, plus there’s a great perspex calendar idea where you can write on your appointments with dry wipe markers or chalk pens. I also love to clear out my kitchen cupboards, and a great way to keep them neat and tidy is to use mason jars with dainty chalk board labels to organise all of your ingredients! Some other ideas I’d love to give a whirl are photo displays using branches, the cutest key organiser made from wood, and a money jar to help with all those important savings! I’d love to get my hands on some other areas in our house and do some proper DIY and home improvements, but renting means that we can’t do anything like that, so we can only dream for now until we buy our own place in the future! If you’re lucky enough to have a space that you can transform in to your own, then be sure to take care when you undergo those big DIY projects and always ask for a helping hand on larger projects. 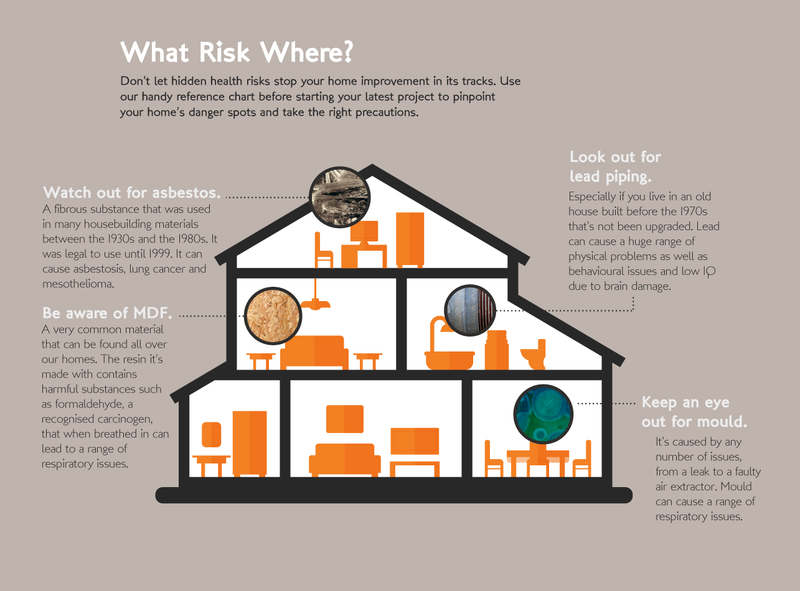 If your house was built between the 1930s and 1980s, be aware of asbestos, especially if you’re DIY project involves removing or renovating walls or your attic space – you could be eligible for mesothelioma compensation. Believe it or not, there are also risks when using everyday materials such as paints, MDF and piping. You can take a look at the below infographic for more information! I’d love to hear all about your Winter DIY ideas and if you have any ideas you think I may like. Let me know if you’re doing any renovation projects and if you have any interior design posts on your blog! 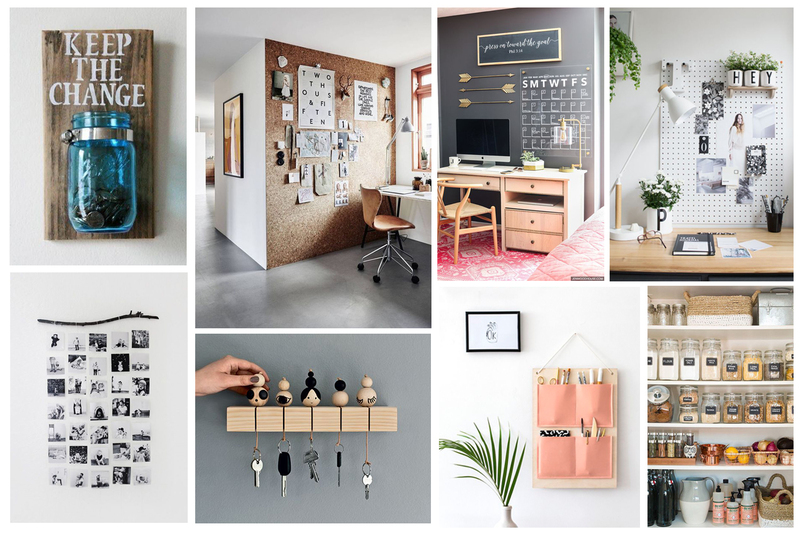 I love to see how people style their living spaces. You can find some of my interior design blog posts here! "BAKING | CHRISTMAS CRANBERRY CUPCAKES"
"DECK THE HALLS | CHRISTMAS DECORATIONS FROM HOMESENSE"